BBC Radio 4 - Law in Action, A Threat to Justice? Joshua Rozenberg finds out why criminal courts charges have proved controversial, and Britain's intelligence services commissioner talks about the new Investigatory Powers Bill. 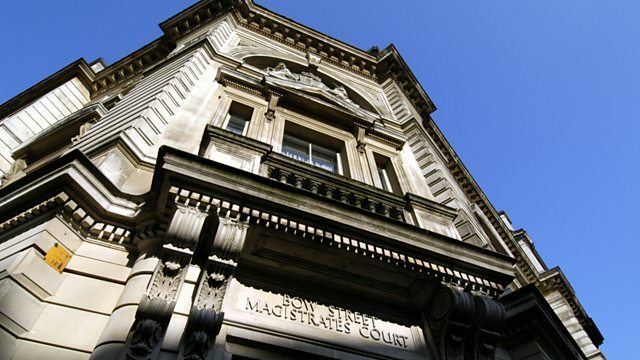 Senior judges, magistrates and politicians have criticised the criminal courts charge since it was introduced in England and Wales in April. Many say it is a threat to justice. In this week's edition of Law in Action, a serving magistrate tells Joshua Rozenberg how the charge has prompted him to think about giving up his role. Also in the programme: Britain's intelligence services commissioner, Sir Mark Waller, discusses the new Investigatory Powers Bill. And would the UK be able to scrap EU laws in the event of a "Brexit"? Sylvia de Mars of Newcastle University explains. Producers: Keith Moore and Tim Mansel.